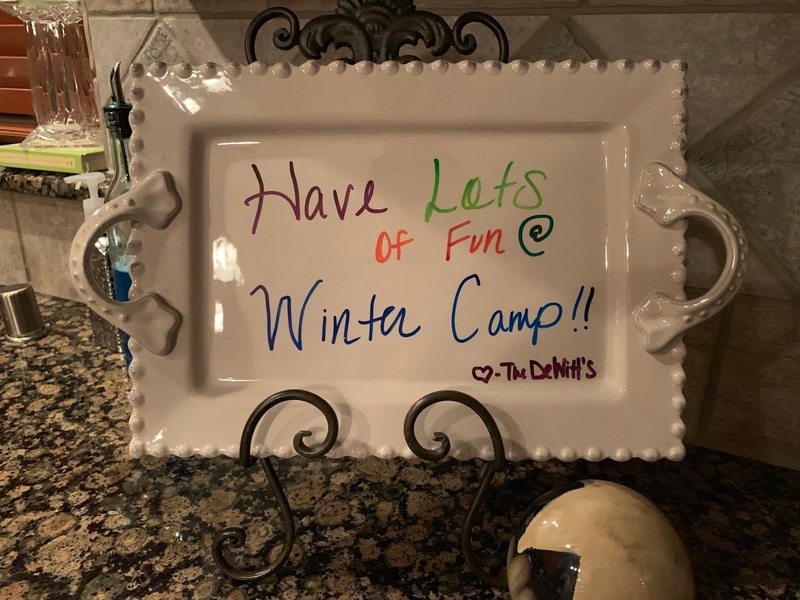 Approximately 600 people from across the 11 FOCUS campuses attended Winter Camp 2019. Despite being my fifth year, God used Winter Camp to again show me the value of community and serving people. As before Fall Camp in September, one of the leaders at Preston Ridge again generously offered to host a guys night at his house. We again played games, ate a LOT of pizza, and had some good time of fellowship. Thanks again to Sterling and the DeWitt family for feeding us and opening their home to our two guys cores! 2018-2019 Collin FOCUS at Winter Camp! These people are one of the biggest reasons why I love my job and serving the Lord. Some of the guys from Collin and I's core who went to Winter Camp! It's neat to reflect on how these guys have grown and changed throughout the year through their friendships and relationship with Christ. Reading for our New Testament class while keeping an eye on the printer. We've been learning about the Greco-Roman world and culture in the time leading to the New Testament to help us better understand the culture and setting at the time! Our staff folding and labeling the tax receipts many of you received recently. Work and admin times like these are surprisingly fun and a productive staff bonding exercise! Thank you for your investment in FOCUS this past year. I pray that the Lord allows you to continue to give and invest generously in causes like this, and much more! Along with the New Testament class I mentioned, the apprentices started other classes such as Strategic Leadership with Brandon. Jesus Is Lord, Real Friendships and Raising up Leaders. We believe that these three are incredibly important and valuable to campus ministry. discussing some different personality types in his Ministry Essentials class. Andrew is one of the guys in my core that I've gotten to befriend this year through a one on one Bible study. The Lord has really blessed Andrew with a heart for people, as he consistently reaches out to the people in his everyday life to tell them about Christ. 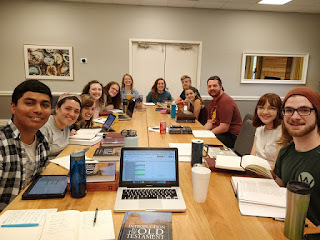 Our first Thursday Night Fellowship of 2019! Our students lined up to share takeaways from their four days at camp. I'm so proud of these guys for their willingness and boldness in sharing. I was reminded that God provides communities to be places of healing and encouragement. Two things the college campus is very much in need of. Collin FOCUS showing off the "Cougar hand sign". 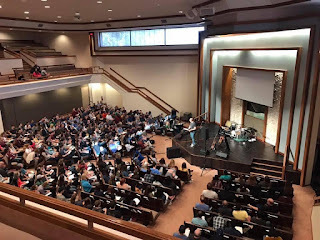 "Church isn't just about my connection with God, but also worshipping God with other people." These people are the church. A church who loves God, and loves each other. The opportunity to do this apprenticeship with these people is truly a gift and blessing. Praise God for how He moves in the lives of people in and outside of this community. 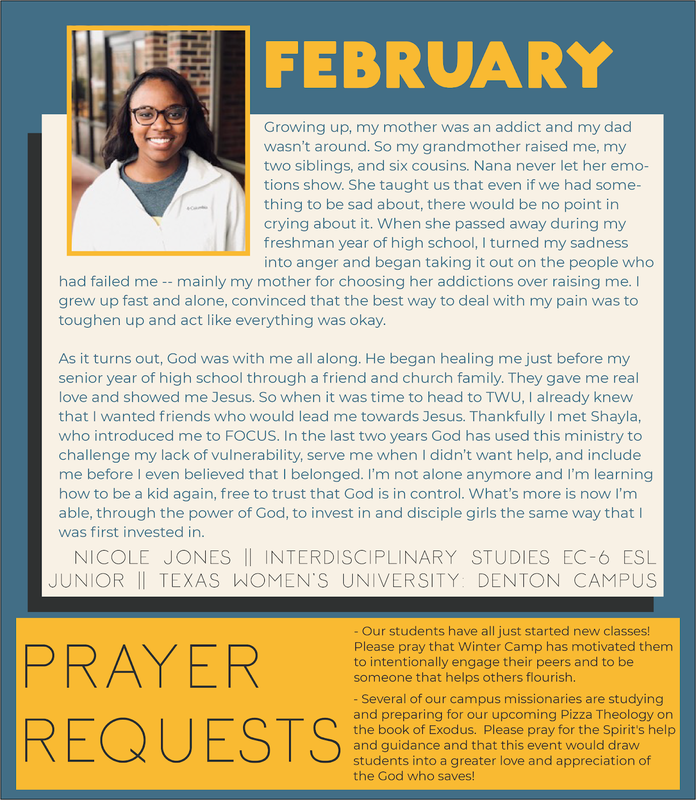 Please be praying for the FOCUS staff (such as me) and students as we think through where we're headed in the summer and next academic year. This month's student testimony, featuring a former coworker and peer from Denton FOCUS and my time working at the daycare! Hey Alex! Thanks for sharing all the pics. I'd love to hear more about what you've been learning in those classes. You get to spend a lot of time with some really wise people!